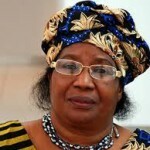 Dr. Joyce Banda became Malawi’s first female president (and second on the African continent) after the sudden death of President Bingu wa Mutharika propelled her from the vice presidency to the country’s highest office. Under her leadership, economic growth increased from 1.8 percent per year in 2012 to 6.3 percent per year when she left the office. Before entering politics, Banda started a number of successful businesses and in 1990 founded the National Association of Business Women (NABW) – a former partner of CIPE. Banda entered politics when she was appointed the Minister for Gender, Children’s Affairs and Community Services, where she championed passing of laws such as the Domestic Violence Bill, and later served as Minister of Foreign Affairs from 2006 to 2009 and then as Vice-President from 2009 to 2012. In 2014, she placed 40th on the Forbes list of 100 Women Who Lead the World.